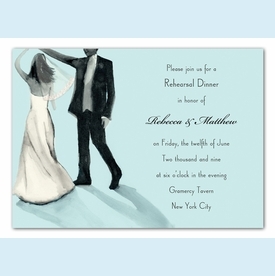 Beautiful new invite features an elegant dancing bridal couple on a bridal blue background. 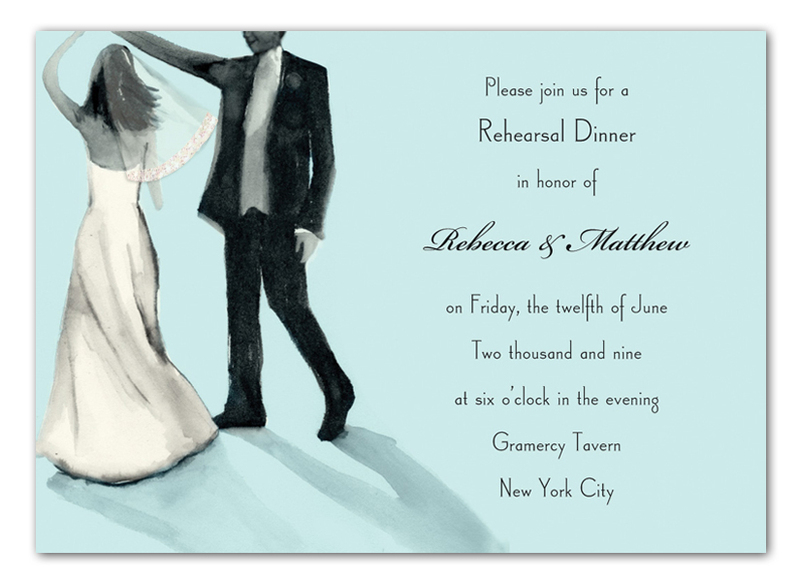 Hand-adorned sparkle at hem of veil adds elegance for this wedding shower, rehearsal dinner or engagement party invitation. Printed on cream recylced stock. NOTE...only a limited quantity left!